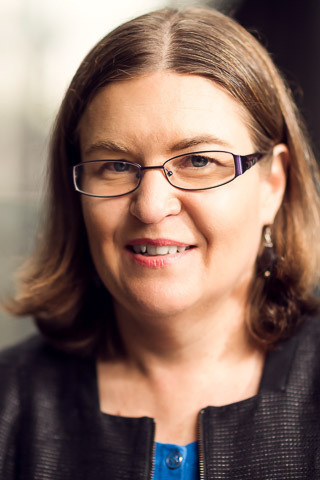 Professor Susan Page is an Aboriginal academic whose research focuses on Aboriginal and Torres Strait Islander peoples’ experience of learning and academic work in higher education and student learning in Indigenous Studies. Her current position is Professor in the Centre for the Advancement of Indigenous Knowledges, where she is collaborating on a university wide Indigenous Graduate Attribute project. Early in her academic career, Susan was awarded a university Excellence in Teaching Award (University of Sydney). In 2019 Susan was awarded the a National Australian Universities Teaching Award, the Neville Bonner award for Indigenous Education. Susan’s Australian Research Council funded research (with Professor Michelle Trudgett and Dr Neil Harrison) explored best practice for the supervision of Indigenous doctoral students. Other recent research includes, examining Indigenous student engagement in Australasian Universities, a project to explore student learning in undergraduate Indigenous Studies, investigating Education curricula inclusive of Darug knowledge traditions and examining the roles of Indigenous academics in Australian Universities. Susan was a Director of the National Aboriginal and Torres Strait Islander Higher Education Consortium (Aboriginal Corporation) from 2015-2018. Page, S & Asmar, C 2008, Indigenous academic voices: Stories from the tertiary education frontline. © 2017 Society for Research into Higher Education Global moves to integrate Indigenous perspectives and histories into university curricula are growing. In Australia, shifts towards Indigenisation in higher education teaching and research have been slow, but now – partly due to new national and institutional policies – are re-forming the disciplinary landscapes where our students learn and grow. Vital to achieving these new agendas are the Indigenous Australian scholars whose work experiences are reported in this paper. Findings from a nation-wide survey of Aboriginal and Torres Strait Islander academics (mainly in professional disciplines like law, education and health) support a more optimistic scenario than that portrayed in some existing literature. No longer peripheral to institutional missions, this newly confident cohort of Indigenous academics is forging unprecedented partnerships with non-Indigenous colleagues and transforming the very essence of a university degree. The implications for Australia, and for other societies with Indigenous communities, are profound. © 2015 Philosophy of Education Society of Australasia. Country constitutes the very anchor of life for many Aboriginal and Torres Strait Islander people in Australia. It is central to Indigenous identities and history, and is a powerful signifier of overall health and well-being; yet, the significance of country to Indigenous people living in large urban localities such as Sydney, Australia, remains an enigma. Through the production of a series of three murals on a university campus, this project was designed to explore the significance of country for three Darug artists working alongside 90 pre-service teachers enrolled in teacher education. The authors were working with the notion that Aboriginal art comes from country and should stay on country; hence, the painting was directed by Darug artists because we were teaching and learning on Darug country. Our objective, though, was to explore through practice how country teaches in the city, and to produce new stories of coexistence. Narratives developed around terms of engagement and the relationships that developed through project partnerships. Increases in participation by Aboriginal and Torres Strait Islander students in higher education across Australia continue to be promising. However, it is also known that Indigenous students' attrition, retention and completion rates remain areas of concern. In this paper, we report our findings from an analysis of Indigenous student responses to the 2009 Australasian Survey of Student Engagement. Overall, Indigenous Australian students express positive responses in relation to engagement, but are more likely than non-Indigenous students to be planning to depart. We explore this somewhat unexpected anomaly, whilst also suggesting that much more needs to be known about our Indigenous students, including, for example, whom they may interact with at university; where they turn for support; and why they may decide to leave. Our findings strongly indicate that better national and institutional data are needed to address the current gaps in knowledge relating to Indigenous student populations in Australia and around the world. Indigenous Studies can be both exciting and challenging for teachers and students. This article will examine how an existing learning theory can be harnessed to help teachers better understand these challenges and manage some frequently seen student behaviours. Much of the discussion in Indigenous Studies pedagogy to date has focused on the curriculum and what we should be teaching, with a growing body of literature, for example, related to the inclusion of Indigenous Knowledges. However, there is less written about how students learn in Indigenous Studies. Drawing on the notion of the Cultural Interface and the 'zone of proximal development' to highlight the complexity of Indigenous Studies classrooms as a site of necessary struggle for students, the article considers possibilities for reconceptualising and reorienting teaching. The paper explores using the threshold concepts framework to gather evidence about how students learn or indeed don't learn, in Indigenous Studies. Threshold concepts are key ideas, critical to mastering discipline specific knowledge, which facilitate students' ability to think like a discipline experts. This paper maps ethical and epistemological issues around attempts by a university to negotiate with the traditional custodians of the Sydney basin, the Darug, to facilitate the intergenerational transmission of knowledge within their community, and through the university curriculum. The theory and practice of research raised some important methodological questions about what constitutes knowledge in Aboriginal and western contexts. The project brought us to reflect upon the epistemological basis of our research to consider whether it was history, ethnography, cultural resource management or memory work. As we worked through these issues during the process of consultation and negotiation with Senior Darug, the inquiry began to focus on how a university can acknowledge a commitment to its community. Such a commitment for a university must be built around attentiveness and respect, rather than an epistemology of control. We find that respecting the power structures and organisation of an Aboriginal community is a crucial step for a university in performing such a commitment. Respect for the established power relations in these communities constitutes the very basis of a generative methodology. Māori and other Indigenous scholars have been calling for the Indigenisation of academic space for decades. But what is the day-to-day experience of Māori academics within Aotearoa–New Zealand universities, and how does this experience reveal or enact the commitments to claim space? We interviewed 12 Māori academics and analysed and organised their experiences in the following way: the university can be understood as a site of (1) mobilisation of Māori staff and students; (2) sit-in, or infusing the institutional system with Indigenous values; (3) speaking out, thereby educating not only students, but staff and the public about Indigenous issues; and (4) at which confrontation is part of the academic terrain. The most common outcome of confrontation was negotiation and reclamation of space for Māori people, norms and values. In spite of this apparent willingness of the university to compromise, we find that capitulation (being moulded to the norms of the academy) and (self-)eviction (reconciling difference by leaving the university) are ever-present possibilities for Māori academics. In shaping and presenting the Māori academic occupation as a 4-stage commitment to affirm Māori identity, norms and scholarship, we present a framework within which Indigenous and minority academic work may be understood. Asmar, C & Page, S 2009, 'Sources of satisfaction and stress among Indigenous academic teachers: Findings from a national Australian study', Asia Pacific Journal of Education, vol. 29, pp. 387-401. Page, S & Asmar, C 2008, 'Beneath the teaching iceberg: Exposing the hidden support dimensions of Indigenous academic work'. Rose, D, Rose, M, Farrington, S & Page, S 2008, 'Scaffolding academic literacy with indigenous health sciences students: An evaluative study', Journal of English for Academic Purposes, vol. 7, pp. 165-179. Page, S, Farrington, S & Daniel-DiGregorio, K 2007, 'The student experiences study: Using research to transform curriculum for Indigenous health sciences students'. DiGregorio, KD, Farrington, S & Page, S 2000, 'Listening to our students: Understanding the factors that affect Aboriginal and Torres Strait Islander students' academic success', Higher Education Research and Development, vol. 19, pp. 297-309. Farrington, S, DiGregorio, KD & Page, S 1999, 'The Things That Matter: Understanding the Factors That Affect the Participation and Retention of Indigenous Students in the Cadigal Program at the Faculty of Health Sciences, University of Sydney.'. Page, S, Farrington, S & DiGregorio, K 1999, 'Promoting academic success through valuing and supporting diversity amongst Indigenous students in a block mode health science program', HERDSA (Higher Education Research and Development Society of Australasia Inc) Annual International Conference. Farrington, S, Digregono, KD, Page, S & others 1999, 'Yooroang Garang issues in Aboriginal health worker training: Listening to students', Aboriginal and Islander Health Worker Journal, vol. 23, pp. 17-17. Page, S, DiGregorio, KD & Farrington, S 1997, 'The Student Experiences Study: Understanding the Factors that Affect Aboriginal and Torres Strait Islander Students' Academic Success', Annual Conference of the Australian Association for Research in Education, Brisbane. Page, S, DiGregorio, KD & Farrington, S, 'INTRANATIONAL PERSPECTIVES: UNDERSTANDING THE FACTORS THAT AFFECT ABORIGINAL AND TORRES STRAIT ISLANDER STUDENTS'ACADEMIC SUCCESS'. Asmar, C, Mercier, ORI & Page, S 2009, ''You do it from your core': priorities, perceptions and practices of research among Indigenous academics in Australian and New Zealand universities', pp. 146-60. Page, S 2015, 'Theoretical learning spaces: exploring threshold concepts, the cultural interface and the zone of proximal development to better understand student learning in Indigenous Studies'. Asmar, C, Page, S & others 2009, 'Sharing the load [Indigenous cultural policy in the post-Bradley era. ]', APN Educational Media.